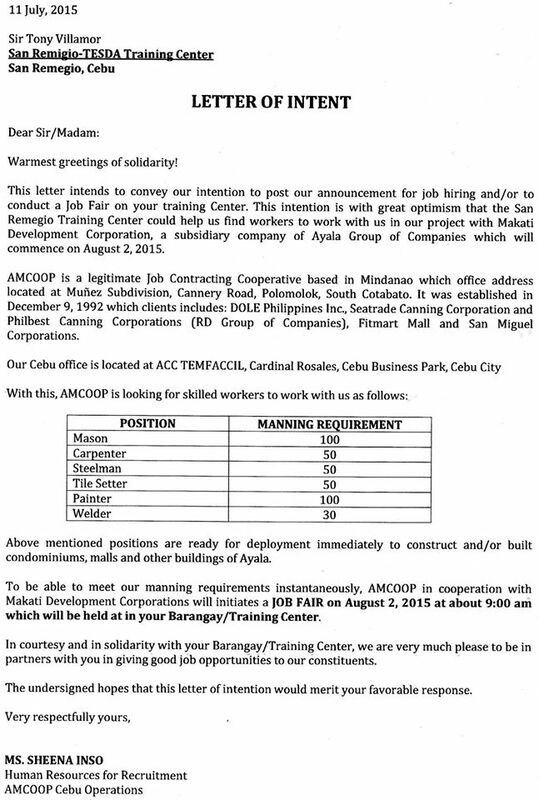 AMCOOP will conduct a Local Job Fair on August 2, 2015 at about 9:00 am at the TESDA/PESO Office, Municipal Hall. AMCOOP is a legitimate Job Contracting Cooperative duly registered in the Cooperative Development Authority bearing CDA Registration No. 9520-12013873 and Department of Labor and Employment Registration No. XII-0-2013-0919-060. Its first major client was DOLE Philippines Inc., which has a total of approximately 300 workers from Harvesting and Field Maintenance Department in 1992 until its reached to 2,896 members-workers combining DUVO Operations and Fresh Pines Operations-Station 1, Planting, land-preparation. 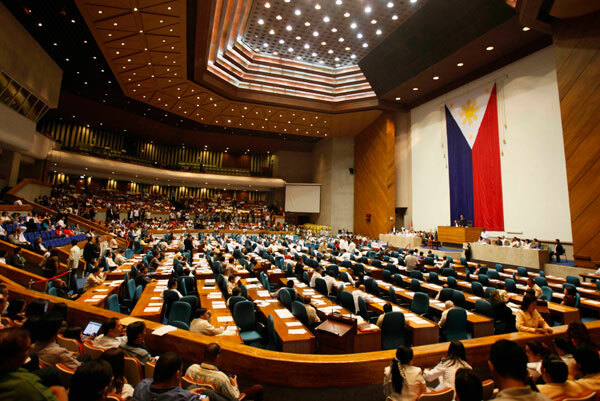 President Benigno S. Aquino III will deliver his State of the Nation Address (SONA) on Monday, July 27, 2015, in the Session Hall of the House of Representatives, Batasang Pambansa, Quezon City. The tree that dominates at the center of the seal retraces the unforgettable founding legend of the town. The community that first started as a mere gathering of fisherman and fish-buyers under a Bogo tree grows to what is now dubbed as queen of Northern Cebu. It occupies a big space in the seal, signifying what the people of the town intrinsically are God-loving, religious, and whatsoever of the kind that respect the supreme authority of our omnipotent maker. It simply represents one of the major crops raised in the town. Majority of the people is earning their living as sugar cane landowners or laborers. Some people live as farmers being an agricultural town, too. Some farmers earn their living either as hired plovers or tillers in other farms, because usually they are tilling smaller lots of land, being that bigger lands are developed as sugar haciendas. Some barangays like Nailon, Odlot, Polambato, Siokon, and Gairan are all strategically located and considered as fish centers. Some catch in Bogo is transported to other neighboring towns and Cebu City. Being ideally located a landlocked bay that could provide a safe haven for sea motorists during bad weathers, sea transportation has become a bustling activity and boat riding is a fast craze in town. Stars represent the 29 barangays comprising the town of Bogo. Stars suit the representation as when bunched or bounded together could give a light much brighter than a moon. These 29 barangays are Bogo's stars, and there continue flickering even in the thick of clouds. RESIDENTS of the northern part of Cebu, especially the people of Bogo City, will get the first glance of the teams and players of the Cebu Schools Athletic Foundation Inc. (Cesafi) Season 15 set to start on Aug. 1. Five of the seven collegiate teams—the University of San Carlos Warriors, University of the Visayas Green Lancers, University of San Jose-Recoletos Jaguars, University of Cebu Webmasters and the comebacking University of Southern Philippines Foundation Panthers—are competing in the Bogo City Mayor’s Cup Cesafi Pre-Season Basketball Tournament, which will start on July 11. The tournament is sanctioned by the Cesafi, making all its games under the supervision and watch of the league officials. Persons with disabilities (PWDs) in San Remigio will get a PWD-friendly service vehicle from the provincial government. Cebu Governor Hilario Davide III approved the vehicle request in a meeting with the PWDs and local officials of the said municipality last July 1st at the Capitol. The vehicle would cost around 800,000 pesos. The Governor also committed to the individual requests of PWD members like scratches and prosthetic feet. He also agreed in principle to make the Cebu capitol building more accessible to the PWDs by providing a ramp in its main entrance. 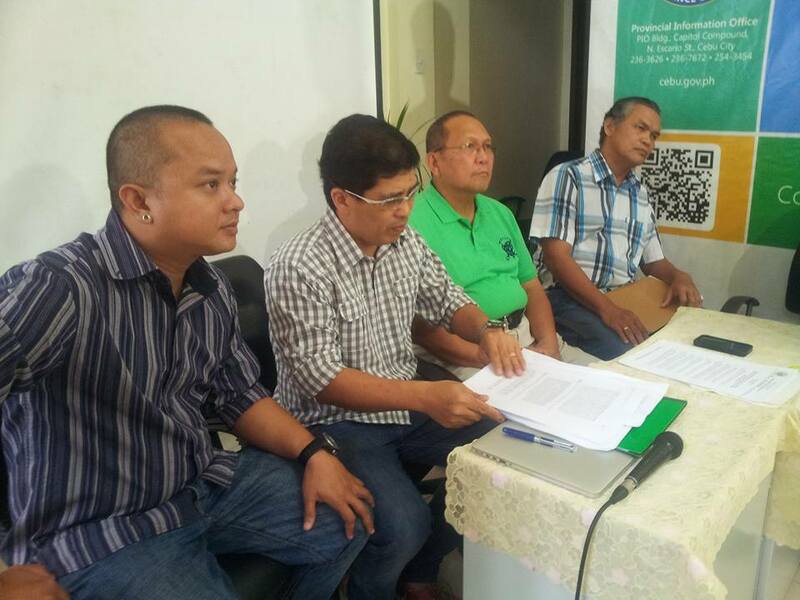 Cebu.gov.ph reported that Jerry Ursaiz, president of PWD Federation-Cebu Province, said they are thankful that the province is mindful of the accessibility law.